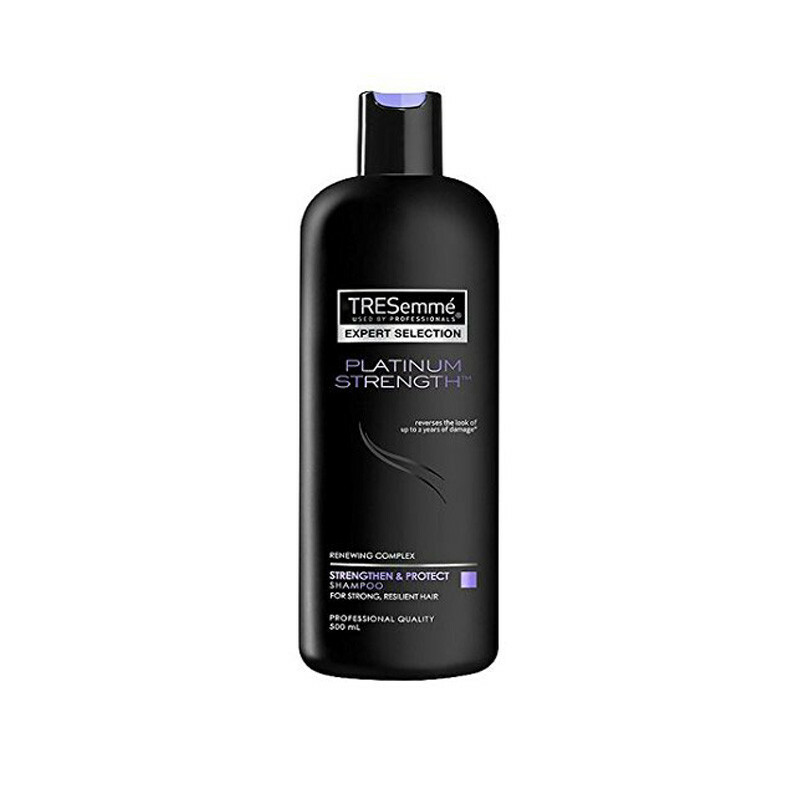 Tresemme platinum strength shampoo strengthens and repairs damaged and dry hair and moisturizing formula that cleanses as it fortifies, so hair stays smooth and healthy-looking. Everyday styling can put your hair through the ringer, leaving it dry, dull and desperate. Give hair a fighting chance with the TRESemmé Platinum Strength Collection, a line of hair care products developed to fortify and strengthen hair. Made with TRESemmé’s Renewing Complex, TRESemmé Platinum Strength Collection reverses the look of up to two years’ of damage in just five uses* and and reinforces hair’s natural protective layer for beautifully smooth hair. *With TRESemmé Platinum Strength shampoo and conditioner use after 5 washes.